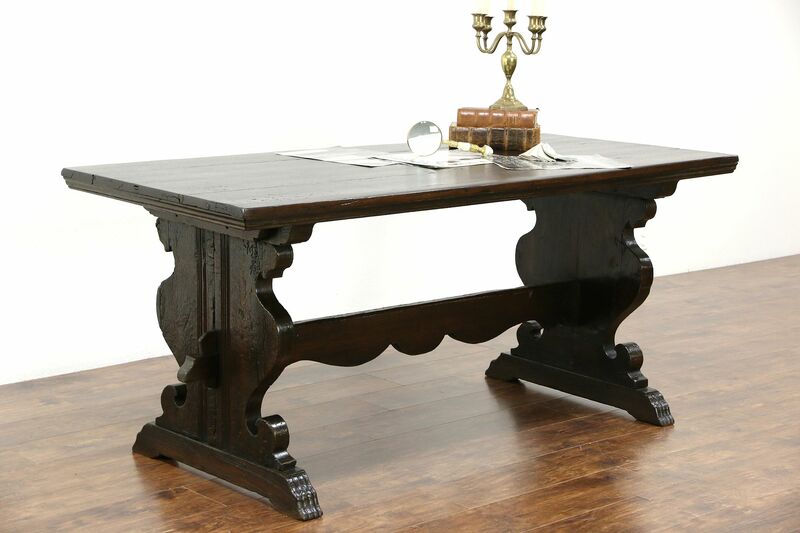 A library or dining table or writing desk was hand hewn of solid oak in Italy in the late 1700's. There are planing marks, wear and shrinkage separations from age for antique character, all preserved by an excellent restored finish. Carved wooden pegs secure the joints on this historic furniture. Stylized paw feet and rustic carving are authentic. Originally, carved pegs attached the top, screws have been added for stability. Dimensions are 71" long, 31" wide and 31" tall.